Stargazers should cast their eyes upwards this month, as three celestial events – a penumbral lunar eclipse, the full ‘Snow Moon’ and the passing ‘New Year Comet’ – will all be visible to the naked eye. When will the event be visible in the UK? Curious Brits can catch a glimpse of the coinciding events tonight through until the morning. What is the penumbral lunar eclipse? A penumbral lunar eclipse is an astronomical event that occurs when the Earth, Sun and Moon align, almost in a straight line. As this happens, the Earth blocks a portion of the Sun’s light and casts a shadow onto some of the Moon – this is known as the penumbra. The penumbral eclipse is quite subtle and more difficult to spot than a partial total eclipse. When is the penumbral lunar eclipse visible? To ensure that you don’t miss it, remember that the eclipse is due to start at 22:34 GMT on February 10 and end at 02:53 the next morning, with peak visibility at 00.43 on the morning of February 11. 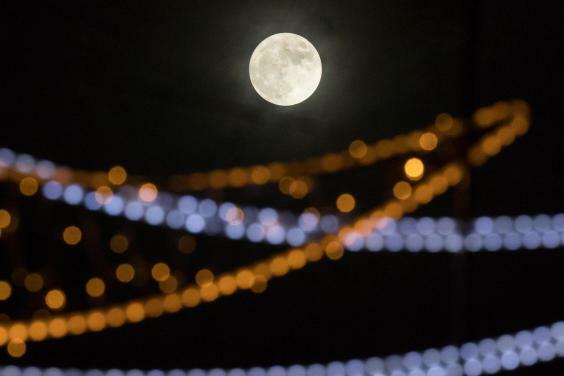 What is the Snow Moon? The term ‘Snow Moon’ refers to the full moon in the month of February, so called because the heaviest snow usually falls in this month. With temperatures plummeting to below zero and isolated snow showers forecast for today, the Snow Moon seems particularly relevant. When is the Snow Moon visible? The Moon is due to rise at 16:44 GMT and set at 07:30 the following morning. What is the New Year Comet? This periodic comet, which follows the same path around the sun and can be seen from Earth every five and a quarter years, is actually called Comet 45P/Honda-Mrkos-Pajdušáková. It is named after the astronomers who discovered it in 1948. 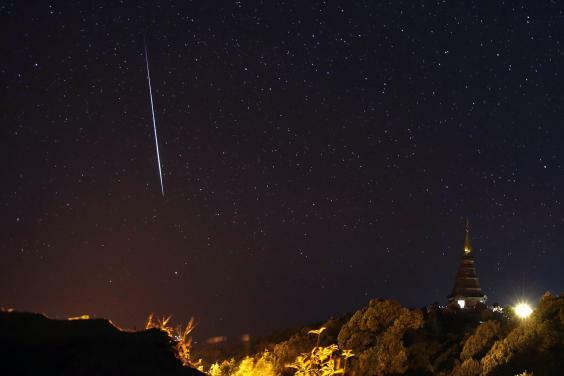 This year, it has been dubbed the ‘New Year Comet’ because it became visible in the skies of the northern hemisphere at the end of 2016 and was sighted on New Year’s Eve.